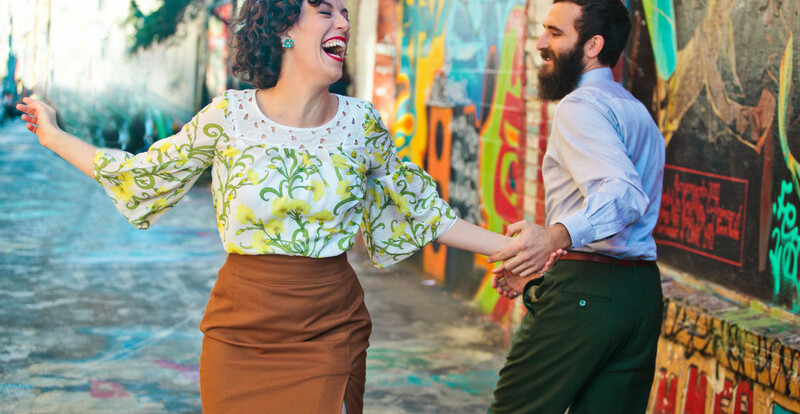 Ryan Calloway and Ann Mony teach Lindy Hop, Solo Jazz, and Charleston from their home base of San Francisco, California. Their classes balance creativity exercises with a systematic approach to technique, with the ultimate goal of high-quality, fun social dances for all their students. They are both musically-inclined people who understand the relationship between music and dance, and they care deeply about swing dancing as a unique mode of self-expression.